Imagine a dip in a crystal blue mountain lake - the morning air crisp and expectant, the sky soaring high and cloudless overhead. This is the unique refreshment of Aquamarine. 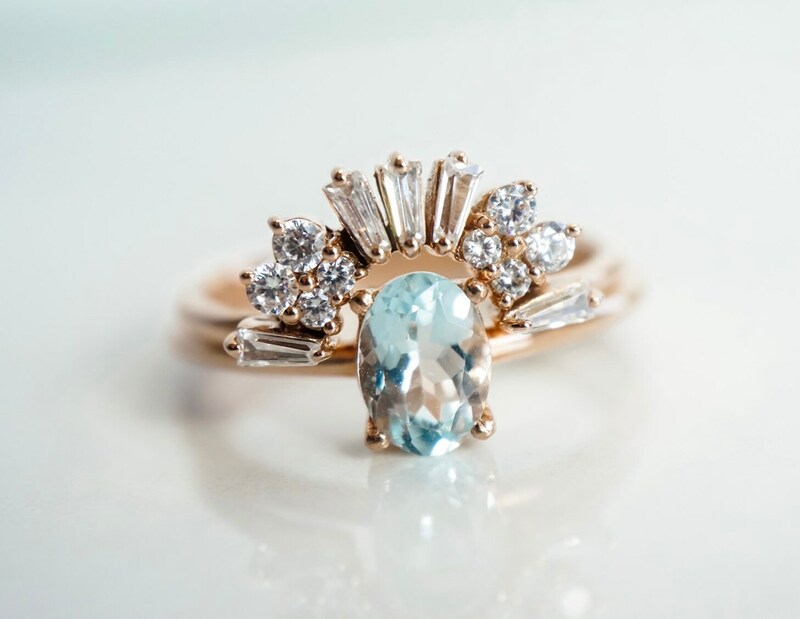 The name means “ocean water,” and tales of Aquamarine date back to ancient seafaring days. Sailors of old believed that these glittering, watery gems came from the treasure chests of mermaids. 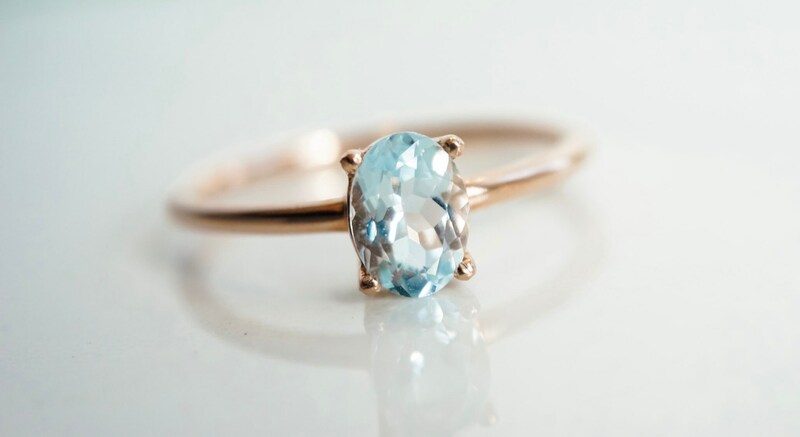 Perhaps it’s no wonder that Aquamarine is said to bring luck to all who sail the seas. 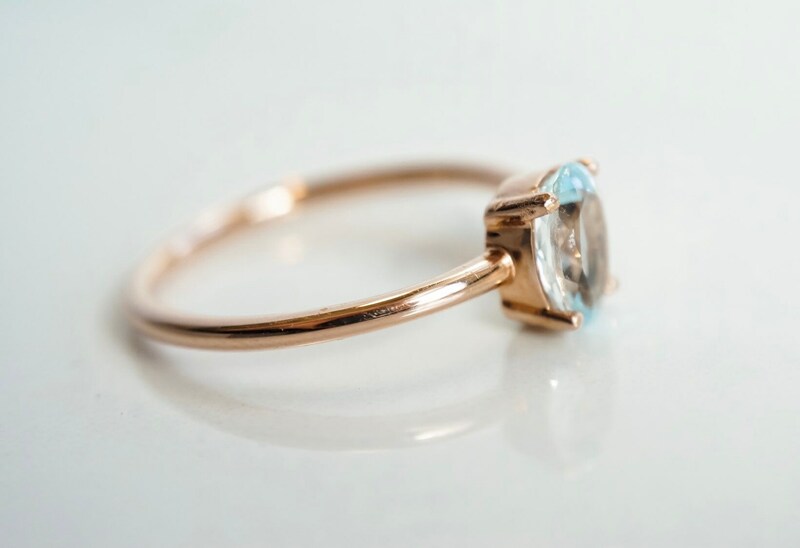 Modern-day etiquette suggests Aquamarine as the gem of choice to celebrate March birthdays and the 16th and 19th anniversaries. 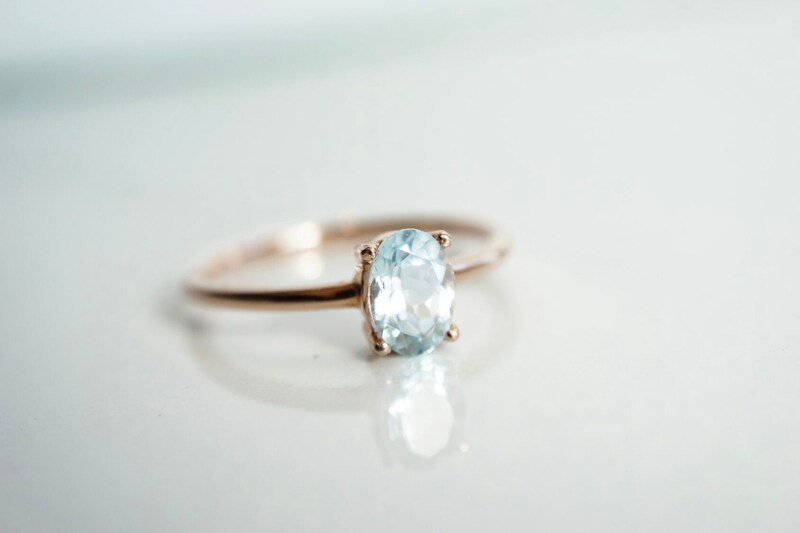 While Aquamarine is a member of the Beryl family, a cousin to Emerald and Morganite, its color is purer and its attributes less brittle than Emerald, making it a desirable gem for special occasion wear. 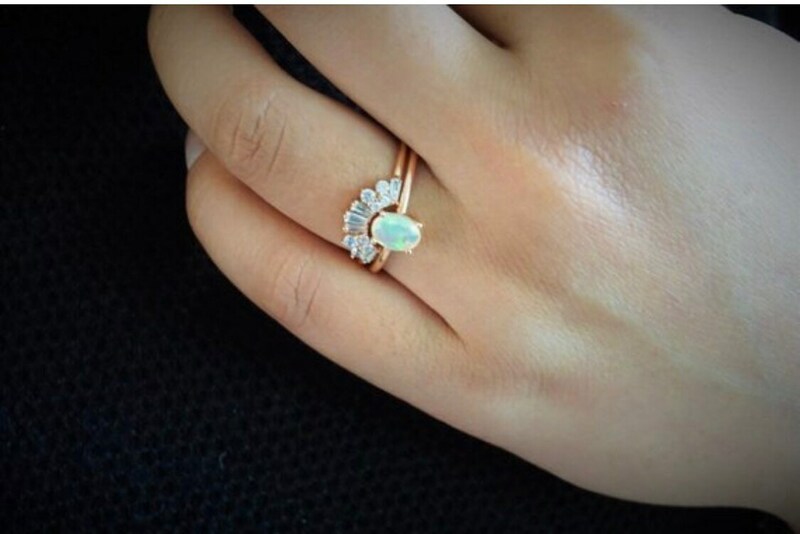 "A gift of aquamarine symbolizes both safety and security, especially within long-standing relationships. 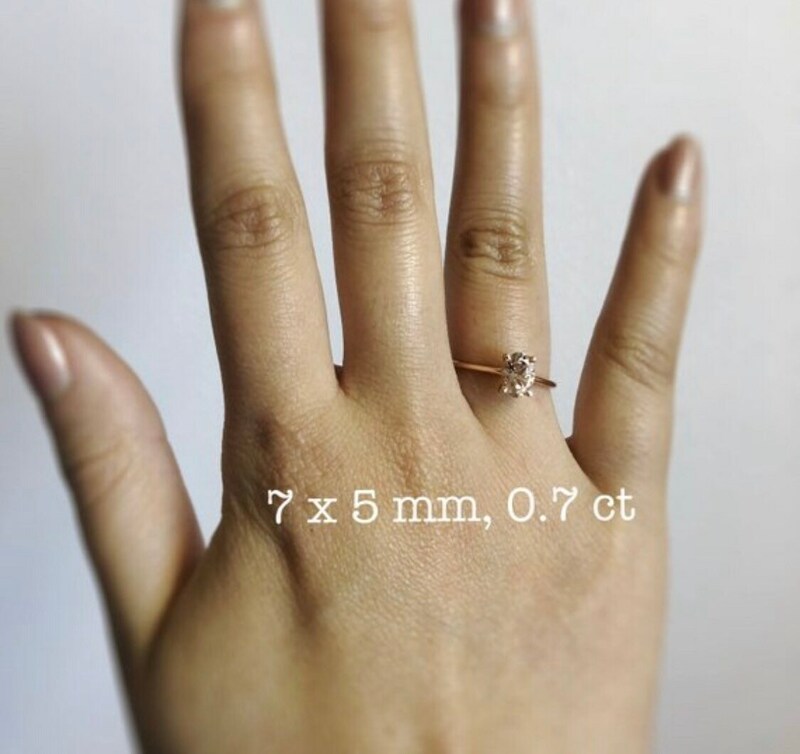 Some people even say that the aquamarine reawakens love when love has grown cold. 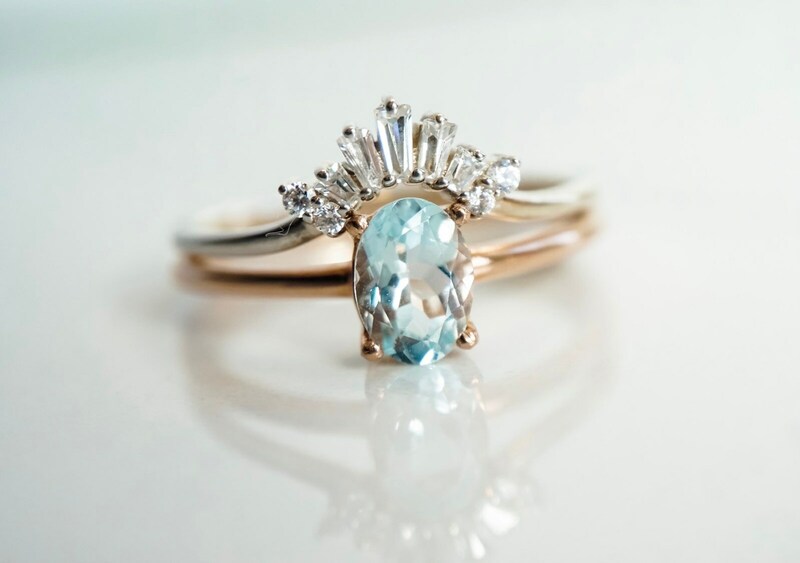 Aquamarine is a stone of courage. Its calming energies reduce stress and quiet the mind. It was carried by sailors as a talisman against drowning. Aquamarine has an affinity with sensitive people. It has the power to invoke tolerance of others. It overcomes judgmentalism, gives support to anyone who is overwhelmed by responsibility, and encourages taking responsibility for oneself. It creates a personality that is upright, persistent, and dynamic. It can break old, self-defeating programs. Aquamarine calms the mind, removing extraneous thought. A wonderful stone for meditation, it invokes high states of consciousness and spiritual awareness and encourages service to humanity.